These were my results. 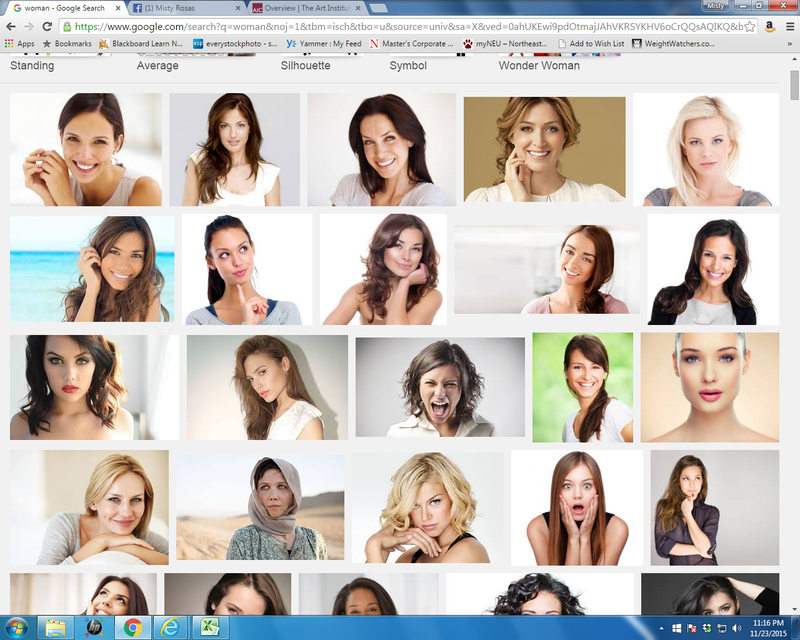 As you can see, #Google believes that a “woman” is slender, young, pretty and mostly white. I am a woman that is sometimes slender, sometimes pretty. When I lose my slender and my pretty, how will I fit into the Google definition of woman? Is this a desperate lack of diversity? Or has Google’s data mining gone so far that it thinks it knows what my perceptions of “woman” should be?